Our family has been living abroad in Tel Aviv, Israel for the past 7 months, but we move back to the states in two days! It’s hard to believe our time has come to a close. Our apartment is down the block from the largest open air market in the city, which has been a great source of inspiration for seasonal eating. I’ve spent many hours in our little galley kitchen, cooking new foods and coming up with recipes to bring home as a remembrance of our time here. One of those is my take on an Israeli staple: Mint Lemonade. 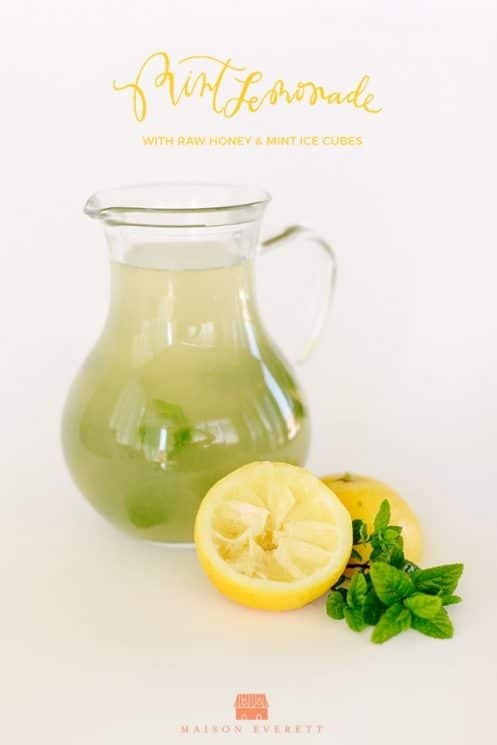 I make mine with raw honey and add mint ice cubes. It’s perfect for the summer days ahead! Bring 4 cups of water to a boil. 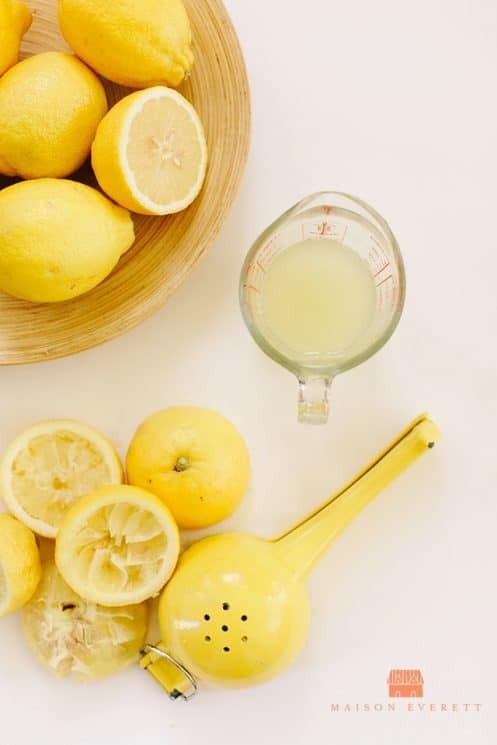 Meanwhile, rinse the mint and juice enough lemons to make 3/4 cup of lemon juice. 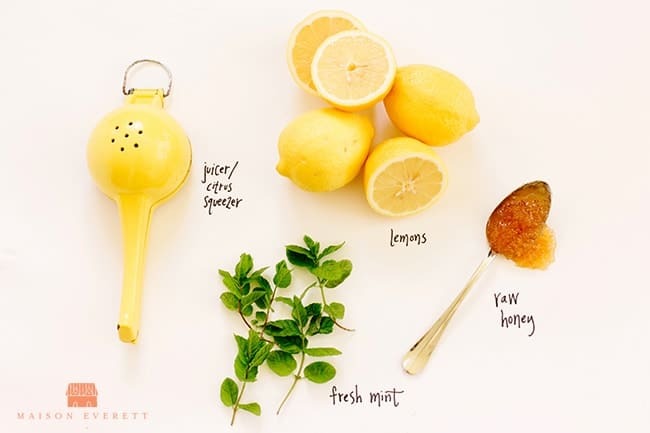 Once water begins to boil, turn off heat and add mint sprigs and honey. Stir well. Let steep for 5-10 minutes. 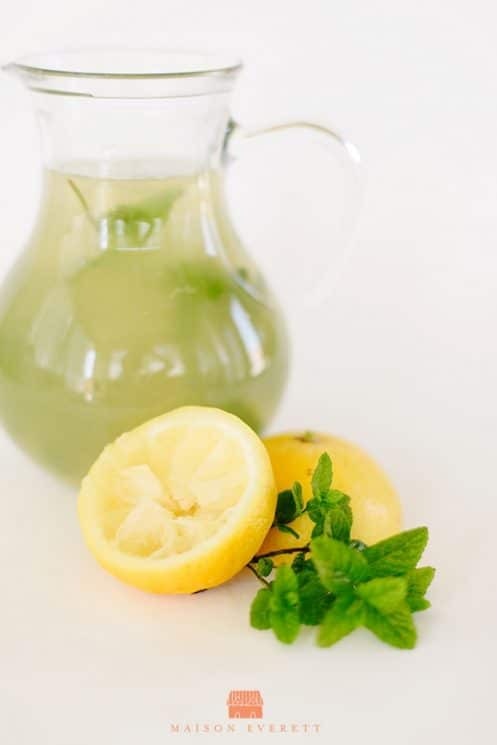 Combine mint water with lemon juice in a glass pitcher. 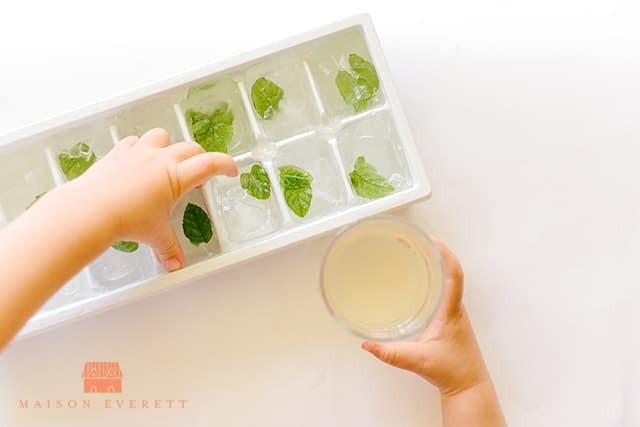 Pour over mint ice cubes to chill. Enjoy! Please note, you can always add extra lemon juice or honey, to taste if need be. While I love this recipe, there is one important thing I would change. The beauty of raw, local honey is the fact that it is not destroyed with heat. 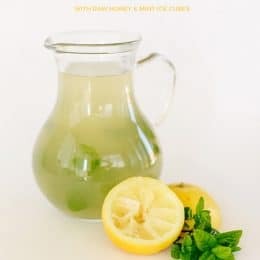 While it’s a great idea to boil (filtered) water for the mint leaves, I would not add the honey until the water was at room temperature. 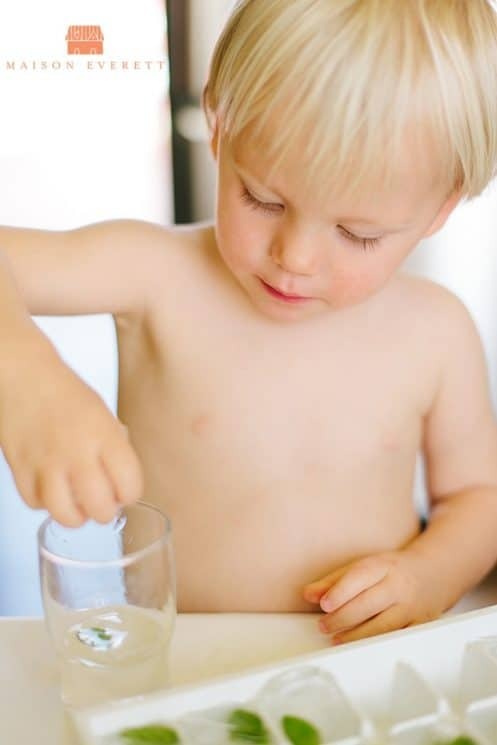 Yes, it will take more time to blend. But you will still enjoy all the health benefits of the honey that we strangely pay more for to remain unprocessed. K.D., thank you for the suggestion! I didn’t think of that but will keep it in mind next time I use the honey. So are the mint ice cubes just regular ice cubes with a mint leaf in them? Or did I miss how to make them?